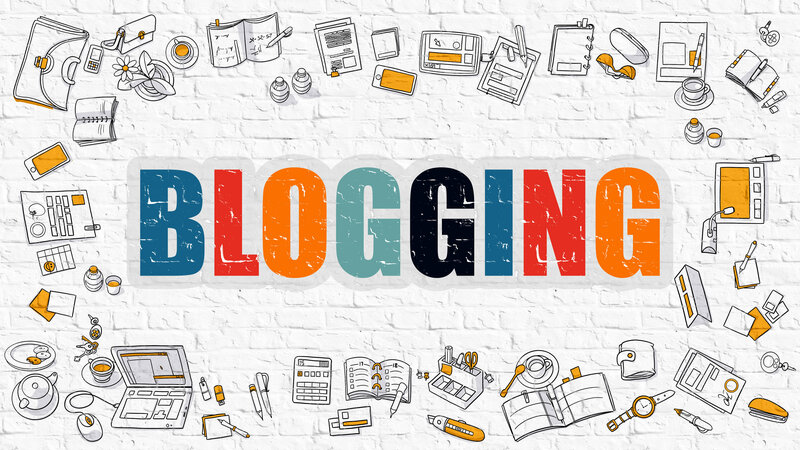 How to start blogging and get your articles published? With the first step, you should start writing. Just write about things you like or love. It can be articles about anything. Drones, clothes, food, marketing, finance, etc. The topic doesn’t matter. If you write it with passion or expertise people will read them and share. One of the biggest mistakes is starting a blogging career with creating a personal blog. Before starting a blog try writing for a few days to check if you will like it or not. Because creating a blog will waste your precious time. To start a blogging career, you don’t need to own a personal blog. You can write to various websites and blogs as a guest author. Most of the blogs and websites have “Write for us” or “Work with us” sections. You can contact them and submit your content there. In my opinion, it’s even better way to start out, compared to owning your personal blog. Websites and blogs already have traffic and people will read and check your article. Contact websites/blog owner or administrator. Tell them about yourself and pitch your ideas and topics. Your email should be very short and straight to the point. Don’t send a long email, because nobody has time for that. After they agree to work with you, send them a short outline of your article. To make sure you’re thinking about the article the same as they are. The last step is to write and article, create beautiful pictures and send the article. P.S. Don’t forget to ask if they have guidelines you need to follow. Why and where to create a portfolio? Building a portfolio is the easiest part. You just need to collect all your articles and put in one place. To have all the articles in one place will save you time in the future. When you apply new websites and blogs, it’s enough to send the link of your portfolio, and they will be able to see all your work in one place. Contently.com – helps brands do great content marketing at scale—with a network of 50000 freelance creatives. Also, it’s a perfect place to create your first portfolio. (I use it by myself). Clippings.me – the world’s largest journalism portfolio site. It allows you to show off your PDFs and links. Journoportfolio.com – here you can create a customizable online writing portfolio without branding or ads. Grammarly.com – my favorite tool! It will make you look like a professional writer. It’s a free grammar, spelling and punctuation checker. Hemingwayapp.com – makes your writing bold and clear. The app highlights long, complex sentences and common errors and suggests alternatives. Writingstreak.io – tool that has been built to help you develop a daily writing habit. Coschedule.com/headline-analyzer – free blog post headline analyzer will score your overall headline quality and rate its ability to result in social shares, increased traffic, and SEO value. Titlecapitalization.com – automatically capitalize your essay titles, blog post titles, email subjects, and more. Writewellapp.com – allows you to organize your document visually in chunks, manage your research and writing on one screen. Canva.com – it helps you easily create outstanding blog graphics, presentations, Facebook covers, flyers, posters and invitations. No design skills needed! So this is my a list of blogging tools I’m using every day. I can honestly say, that it’s even more than enough for blogger or writer. So let’s answer the most important question – how to make money? The most important thing is that there is no perfect time for that. Sometimes people are waiting for a couple of months before they are starting to ask for money. They are trying to become an excellent blogger and writer. And writing and writing. I’m not trying to say that it’s bad. But you can ask money before you become “perfect blogger”. If you know how to write, how to do research, how to create amazing pictures or screenshots go for it and ask money from the websites or blogs. Everything works the same like with the guest articles. Just know you need to be clear in your pitch that you’re looking for money. 8-9 websites from 10 will answer you that they are not looking for writers or won’t reply at all. But you can be sure, that one of 10 will ask more about your skills, pricing and how many articles you can write per month or week.